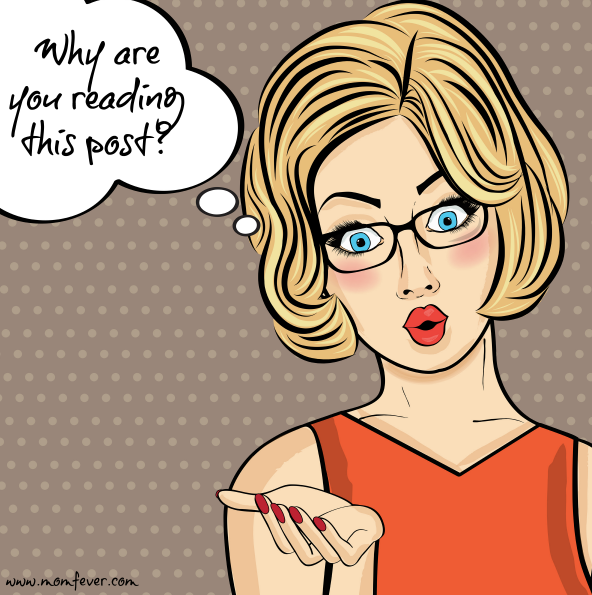 Why are you reading this post? Because I cleverly used a 'question mark' thereyby triggering the part of your brain that wants answers! It just goes to show: choosing the right title for your post is important. The title of a post should catch the attention of your visitors. And because their attention span is short, you have to be quick about it! So, how to write a good post title for humans? See what I did there? I used a question mark again! Making sure you'll continue reading this post. Use a question mark in your blog post. People are wired to want to know the answer when they see a question. Research has shown that headlines and titles with a question marked are clicked on two and half times more than titles without a question mark. So there you go! Address your visitors directly. Talk to them, using words like 'you'. Make your post title interesting, so people will be intrigued or curious. Use numbers! People love lists. Don't be afraid to go all superlative. Use words like The Greatest, The Best. I mean who wouldn't want to read a post like that! How to write a good blog post title for Google? Google is not human. I know, I know, this may come as a shock, but there you have it. Therefore different rules apply when it comes to Google. For example: the title of this post is optimized for the human eye. If I wanted to get in with Google I should have used a title like: 'How to write a good title for your post'. Because that title suits the content of this post better. A good blog post title contains the keyword you want people to find you with. Google has no sense of humor! I once wrote a post about dance lessons, and titled it: 'Bawling my eyes out'. Obviously Google did nót get that this post was about dance lessons. Did you like this article? Please share it with your friends, family, neighbours, the girl behind the counter of your grocery store, your hairdresser and your mailman! Very helpful. Thanks, I'm going to follow this in my next blog posts. The question is such a good way to capture a reader's attention. I need to do that more often. Good information for sure. We are always trying to figure out how to make readers come to us and how to make Google happy. I wonder sometimes if there isn't someone behind the scenes giggling as they push buttons. Thank you do much. I pinned this one for future reference! This is such good advice for navigating the SEO maze. Ugh. I just wish there weren't so many posts with numbers and formulaic sounding solutions to every problem under the sun. Real issues are rarely reducible to lists and numbers, even if our eyes like reading them. Cuz I liked the pic of the girl!! Good stuff, here. I just hate following rules! Not even kiddin. You've shared some good advice here. It's definitely important to choose a good title for SEO purposes - and to catch people's eyes. Thank you for sharing with us at the Hearth and Soul Link party. Hope to 'see' you again this week! Your blog post title definitely lured me in! Thanks for the good advice. Will keep it in mind when I'm blogging. Excellent tips! Thanks so much for sharing with Party in Your PJs!